When looking through an out-of-focus lens, just about any fullsize body-on-frame sport utility is going to appear mostly like a big box on wheels. Fortunately, Chevy has gone to great lengths to give the Tahoe a distinctive look. Whether it’s an attractive vehicle, though, is certainly up for debate. To our eyes, it looks more purposeful than pretty, with a handsome profile that’s a bit spoiled by the strangely shaped headlamp clusters and massive, upright chrome grille. If you don’t like the look of the Tahoe, remember that there’s a probably a GMC dealer close by with a sales floor full of Yukons, which we think look quite a bit prettier. 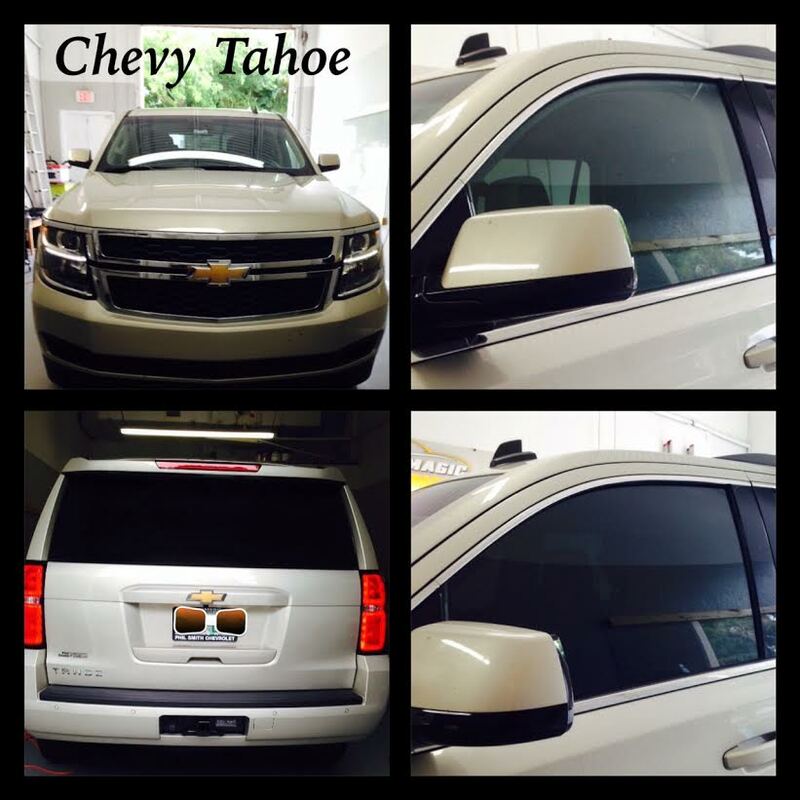 Chevrolet Tahoe at Tint Magic Window Tinting Coral Springs. We have applied 25% on two front windows to match back windows perfectly. Call us for a free estimate! 954-840-7883. We are located at 11344 Wiles Road Coral Springs Fl, 33076.